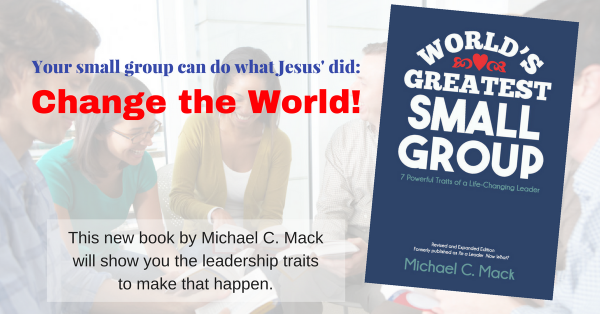 Home Small Group Leaders Leader's Heart-Overflow Want to Be a Great Leader? Live with Integrity! Our world is in desperate need for leaders with integrity. A healthy leader whom God will use to carry out his mission, bearing lasting fruit, is a person of high integrity. But you already knew that, didn’t you? Yet here’s the thing. Integrity is pretty easy to believe in and talk about; but it’s incredibly hard to live out. Integrity has been defined as doing the right thing even when no one is looking. But it’s more than that. It’s telling the truth even when the facts might damage your reputation or your career. It’s obeying God even when it doesn’t make sense. It’s loving your spouse even when they hurt you. It’s keeping your promises even if you’d never be caught. It’s turning the channel when your favorite TV show “goes there.” It’s following God’s Word even when it’s inconvenient … or extremely difficult … or even if you’d be persecuted for it. Integrity is impossible in your own strength. To live with integrity, you must first love God with all your heart, strength, and mind. Having integrity means you know God is in control of your world, no matter what the circumstances look like. Integrity and faith are intricately connected. Faith and living with integrity both look beyond the current circumstances of your life to something, Someone, bigger, more powerful, more important. People of integrity seek God’s kingdom first, knowing he will take care of everything else. Living with integrity means you really do believe and trust in God. “Joyful are people of integrity, who follow the instructions of the Lord” (Psalm 119:1, NLT). I often don’t see immediate payoffs for keeping my integrity. My integrity costs me something, at least in the short term. But none of these circumstances can take away my joy or the blessings that come from doing the right thing, by following the instructions of the Lord, with God’s power. After all, he is in control. People of integrity “do not compromise with evil, and they walk only in his paths” (v. 3). We compromise with evil when we stray off his paths, the paths he has cleared, the paths he is walking ahead of us on, the paths he desires for us to walk. His Word is our map for these paths. The writer of Psalm 119 confessed, “Oh, that my actions would consistently reflect your decrees!” (v. 5). Being a person of integrity does not mean being perfect. It does, however, mean being honest, truthful about yourself, and transparent. People of integrity are humble people. They confess their sins to God and to people they trust. How do you know if you are living with integrity? The psalmist provided the answer: “Then I will not be ashamed when I compare my life with your commands” (v. 6). How are you doing with this? As you read and meditate on Scripture, do you compare your life with God’s Word? People of integrity are thankful people. The psalmist said, “As I learn your righteous regulations, I will thank you by living as I should!” (v. 7). Thanksgiving is coming up soon. Do you want to be truly thankful to God? Live as you should! In other words, live with integrity each day. Integrity is impossible without God, but it does take intentional, everyday effort on my part. The biggest thing for me that makes integrity possible is spending time with God each day, reading his Word, listening to him, and growing in my relationship with him. I learn what integrity is from his Word, and he gives me the strength I need to live his way. Do you want to be a leader after God’s own heart? Live with integrity. Previous article Want to Be a Good Leader? Start Here! Next article Trying Hard in the Spiritual Life: Rx for Burnout?